Metal-halide lamp Rx7s, 150W, 240VAC, white Metal-halide bulb 150 W, base Rx7s. Metal-halide lamp G12, 70W, 0.9A, green Metal-halide bulb, 70 W, base G12, light colour - green. Metal-halide lamp G12, 70 W, 90 V, 5200 K, 0.95 A, UV filter Metal-halide bulb, 70 W, base G12, UV filter. 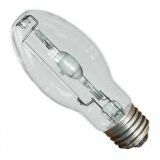 Metal-halide lamp G12, 150 W, 1.8 A, blue Metal-halide bulb 150 W, base G12, light colour - blue. Metal-Halide Bulb G12, 150 W, 230 VAC, 0.68 A Metal halide lamp ,MH150W/N/T7, with wattage 150 W, voltage 230 VAC and base G12. List Price 21.90лв. VAT Incl. 20.81лв. VAT Incl. Metal-halide lamp R7s, 70W, 240V Metal-halide bulb DMH70, 70 W, 240V, base Rx7s. 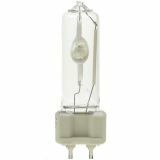 Metal-halide lamp HDI-TS, 70 W, Rx7s, 4200 K Metal-halide bulb HDI-TS, 70 W, base Rx7s, white. Metal-halide lamp Rx7s, 70 W, blue, green Metal-halide bulb, 70 W, base Rx7s, light colour - blue and green. List Price: 56.00лв. VAT Incl. Metal-halide lamp E27, 150W, green Metal-halide bulb HIE-150, 150 W, base E27, green. 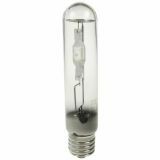 Metal-halide lamp 150 W, 240 V, E27 Metal-halide bulb BL826, 150 W, base E27, white. Metal-halide lamp E40, 250 W, 220 VAC, 3 A, green Metal-halide bulb, 250 W, base E40, voltage 220 VAC, light colour - green. List Price: 71.00лв. VAT Incl. Metal-Halide Lamp HND400, E40, 400 W Metal-Halide Lamp HND400, with rated wattage 400 W, base E40 and voltage 230 VAC. 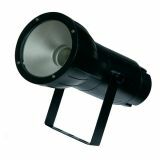 Metal-halide floodlight LEVO, 150W, waterproof Waterproof metal-halide floodlight LEVO with 150 W consumed power, IP65 ingress protection, G12 lamp base and reflector made of pure aluminum. 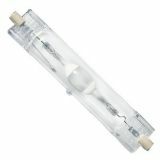 Metal-Halide Lamp GX12-1, 100 W, 90 V, 2500 K, 1.1 A Metal-Halide Lamp GX12-1, 100 W, 90 V, 2500 K, 1.1 A.
Metal-Halide Lamp HND250, E40, 250 W Metal-Halide Lamp HND250, with rated wattage 250 W, base E40 and voltage 230 VAC. List Price 17.90лв. VAT Incl. 16.11лв. VAT Incl. 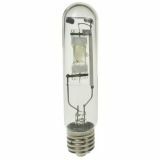 Metal halide lamp is an electric lamp that generates light by electric arc discharge in a mixture of mercury vapors and metal halide (metal compounds with bromine or iodine). They are similar to the mercury lamps but containing additional metal compounds in electric arc tube, which improve the efficiency and color rendering (whiteness) of the light. Metal halogen lamps have a high luminous efficacy at around 75-100 lumens per Watt, which is about twice the efficiency of mercury lamps and 3 to 5 times the efficiency of incandescent lamps. 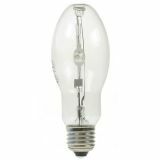 Also, metal halide bulbs have a moderately long life (from 6000 to 15000 hours - slightly shorter than mercury lamps one) and emit an intense white light. As one of the most effective sources of CRI white light, metal halide lamps are one of the fastest growing products in the lighting industry. They are widely used for lighting of large spaces in commercial, industrial and public buildings, such as parking lots, playgrounds, factories, shops and etc. . 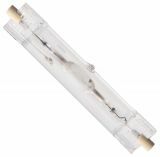 The lamp is composed of a small ceramic or quartz electric arc tube, which is containing gas and an arrester and it is enclosed in a larger glass balloon. In this large bubble has coating which serves as a filtration of the generated ultraviolet (UV) light. Similar to other lamps with high efficient discharge, they work under high pressure (4-20 atmospheres) and require special fixtures for safe handling and electrical ballast. They, also require a warm-up period of several minutes to reach its maximum luminous intensity, so that they are usually not used for indoor lighting housing which switches on and off frequently. We wish you have a pleasant shopping time with Vikiwat!